The H-3 visa is for an alien coming to the United States to receive training from an employer in any field other than graduate education or training. This covers a specific course of job-related training that has been planned in the United States which may include employment incidental to the training period. When an application is made in this category, the employer must state that the training is not available in foreign nationals, and why it is necessary for the alien to take training in the U.S.
“Special Exchange Visitors” may also apply for nonimmigrant visas under the H-3 category. A “Special Exchange Visitor” is one who seek to enter the U.S. to gain practical training in educating children with physical, mental, or emotional disabilities. The alien must have a foreign residence they have no intention of abandoning, and they may stay in the U.S. for up to eighteen months. Only 50 aliens per year may enter the U.S. in the Special Exchange Visitor category. The Form I-129 visa petition must be submitted by the U.S. employer to the INS Regional Service Center that has jurisdiction over the place of intended employment. The documentation that is required to be filed with the I-129 petition varies depending on the H-3 sub-category in which the alien is seeking to obtain training. Documentation that the alien is nearing the completion of a baccalaureate degree in special education, already holds such a degree, or has extensive experience in teaching children with physical, mental, or emotional disabilities. If H-3 visa holder has remained in the U.S. for the maximum period of time, as stated above, he/she may not seek a change of status, extension, or readmission to the U.S. in H or L status until he/she has resided outside of the U.S. for a period of six months. 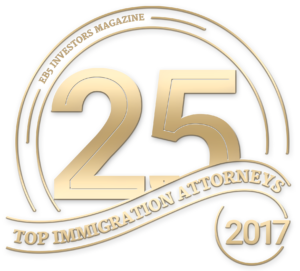 A spouse or unmarried child of an H-3 visa holder is entitled to an H-4 visa, and the same length of stay as the principal. The spouse and dependent minor children cannot accept employment, but can attend school in the United States.